Definitely not a looker in the beauty steaks and sometimes nicknamed the sputnik of the plant world which perhaps accounts for the fact that this wonderful and versatile little autumn vegetable is so overlooked in this country. 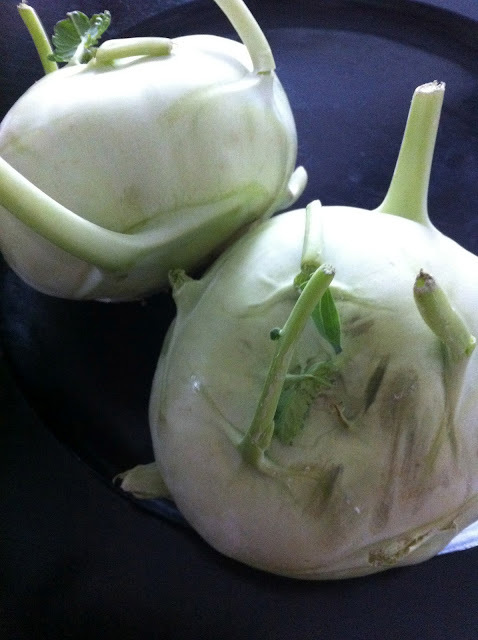 Although very popular in Central Europe and Asia for years kohlrabi was thought good enough only for cattle fodder here. Happily things are changing though. It has been making it's appearance in the markets for some time now and will be with us for the next few months. Although strictly speaking it is a cultivar of cabbage and not a root vegetable it can do everything a root vegetable can do and more. It is delicious eaten hot or cold, think carrot, parsnip and celeriac. It is terrific shredded in a remoulade with carrot and a mustard dressing. Sliced finely carpaccio of kohlrabi served with anchovies is delicious, alternatively it can be peeled and cut into batons and steamed for about 8 minutes and served with butter and seasoning or pan fried with your favourite herbs or spices. Equally aesthetically challenged Saag is a spinach or mustard leaf dish from south Asia. It is combined with various ingredients to create classic Indian dishes. Saag gosht pairs the vegetable with meat whilst saag paneer makes use of cheese and in the dish Saag aloo spinach and potatoes are coupled! 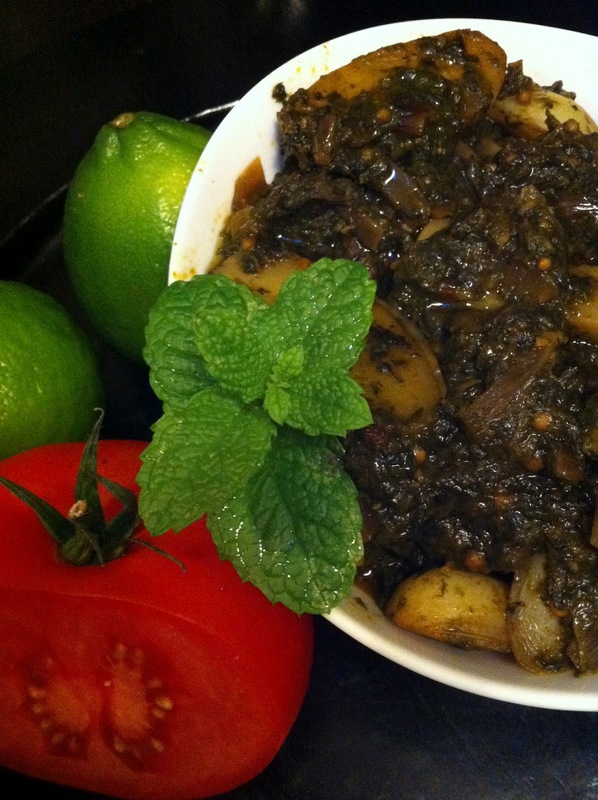 We are suggesting saag kohlrabi. The purists may protest but we find tinned spinach the easiest and best as it is just the right consistancy to form a creamy spinach sauce. Sweat off the onion, garlic and spices in a pan for a few minutes. Add the kohlrabi and sautee for 7 to 8 minutes or until soft but still "al dente". Add spinach and cook for a further 2 minutes until all ingredients are warmed and combined. Season to taste.